“I drink plenty of water, but I can’t get hydrated.” Sound familiar? This is a frequent comment I hear from website visitors and clients. So, what’s going on? The answer usually comes down to how much water you are actually drinking on a daily basis, what type of water it is, the mineral balance in your body, as well as your health condition and a few other factors. As a nutrition consultant, I learned fairly quickly that many people were suffering from symptoms of chronic dehydration. However, when they actually started tracking their daily intake of water, per my request, they often found they were drinking far less than they thought. This was mainly because many were drinking other liquids throughout the day such as coffee, tea, ice tea, sodas, sparkling water, fruit juice. Even though the intake of other beverages may contribute to body hydration, it is not the same as drinking plain water. Plain water has specific functions in the body that no other fluid can replace. Water also carries nutrients to the cells and toxins out of the body. It supplies oxygen to the cells and facilitates energy production, as well as many other critical functions in the body. Some beverages, such as alcohol, coffee and black tea, are diuretics and can cause additional water loss. The general rule of thumb is that for every cup of coffee or tea you drink, you need to drink an extra glass of clean drinking water. The same for alcohol consumption. As far as how much water to drink, daily water intake varies from person to person, depending on age, weight, gender, activity levels, weather conditions, and health condition. There are different theories on how much water we need to drink each day but like many top health experts, I recommend drinking half your body weight in ounces of water daily. Some instances where water intake might need to be increased include: (1) hot or humid climate, (2) an illness with fever, diarrhea or vomiting, (3) prolonged or intense exercise, (4) pregnancy or breast feeding, (5) chronic health conditions or (6) dieting. Another reason people can’t get hydrated has to do with the type of water they drink. In a sense it is true that “water is water.” No matter what type of water you drink, you will get some degree of hydration as long as it is free or dangerous contaminants. However, when it comes to optimal hydration, I am convinced that mineral rich water is far more hydrating than de-mineralized waters (such as distilled or reverse osmosis). The primary reason for this is because drinking water with a low mineral content has a negative effect on functions in the body that control water and mineral metabolism. If the water we drink is deficient in minerals, this imbalance increases urine output and thus the additional loss of calcium, magnesium, potassium, and chloride ions, according to a World Health Organization study. This changes the balance of minerals and water inside and outside cell membranes, and affects hormones that are key to the managing of body water balance. Water in our body always contains specific concentrations of electrically charged minerals called electrolytes. When we drink water that is low in minerals, our intestines have to add electrolytes to this water first, pulling them from body reserves. Over time, this can lead to mineral deficiency and insufficient body water distribution. For this reason, if someone has a reverse osmosis system or distiller, I highly recommend taking mineral and/or electrolyte supplements to replenish. Some of the RO systems now include a mineral replenish cartridge, which I highly recommend. However, even mineral supplementation may not be sufficient to replenish mineral loss and maintain mineral balance in the body when you drink demineralized water long-term. Drink mineral-rich water rather than de-mineralized water (RO or distilled). If you buy bottled water, this means buying spring waters like Crystal Geyser or Arrowhead or alkaline waters. 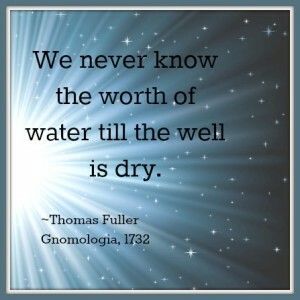 Or you can invest in a quality drinking water filter for your home. If you currently have a distiller and RO system, be sure to take a mineral supplement and/or electrolyte supplement.